When I was a little girl, my auntie used to read coffee grounds at our family gatherings. 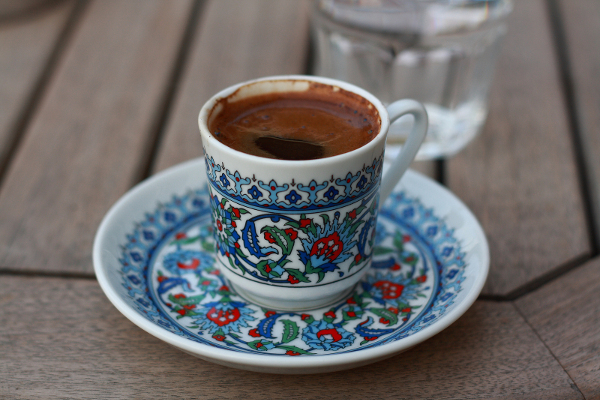 After dinner, the adults would line up with their almost-empty Turkish coffee cups, which were carefully turned upside-down on the saucers, with the remaining clump of coffee grounds semi-dried (stuck to the bottom and sides of the cup). Auntie would turn the coffee cup right-side up and read the grounds. It was very real. People loved it so much that she actually quit doing it because she wanted to actually enjoy the parties and not do readings the whole time! The designs in my cup and in my friends’ were right on track with how we’ve been feeling lately and what’s been emerging in both of our lives. It occurred to me that while I’ve had a tendency toward being logical for much of my life, I’ve also been in touch with deep magic. I just don’t publicize the details about that because the don’t really make sense. But today, it dawned on me that everything about JBL is about being more fully alive and that being fully alive is equivalent to acknowledging the awesome radiant sparkly magic of being human. THAT is our capacity, our potential, our truest nature. And it’s usually kept hidden or secret… to the point where I think we have forgotten where we hid it!! Well, I want to celebrate our magic and acknowledge it in all of its full grandeur… beyond anything the intellect can comprehend… the horse and the bird (grasshopper?) that showed up in my coffee cup, the thistles that showed up in my fairy tale recently… these things make my life more sparkly. And that sparkliness makes my life worth living. Thanks for being here because I want more people along for this journey with me… the journey of being fully human… fully magical… fully embracing ALL that we really are. Together. And thank you, Auntie. I’ll have another cup of coffee, please :-).